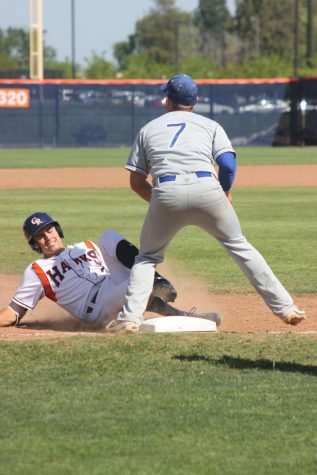 Heading into the last game of the regular season, the Cosumnes River College Hawks were tied for second place in the Big 8 Conference. San Joaquin Delta College came to Conway Field to try and best the Hawks and take an undisputed first place position in the Big 8 on April 26. The Hawks’ star pitcher Kyle Von Ruden, who entered the game with a conference ERA of 0.88, was not at the top of his game. Von Ruden exited the game after the sixth inning with an overall conference ERA of 1.53 after allowing five runs, four of which were earned. Sophomore pitcher Josh Pigg took over in the seventh inning, and in the top of the eighth allowed four more runs. 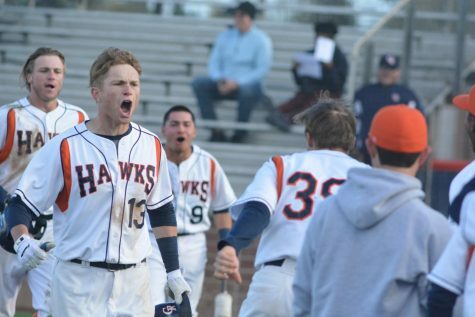 The Hawks went on to lose the game 9-3 after scoring one last-minute run in the bottom of the ninth inning. 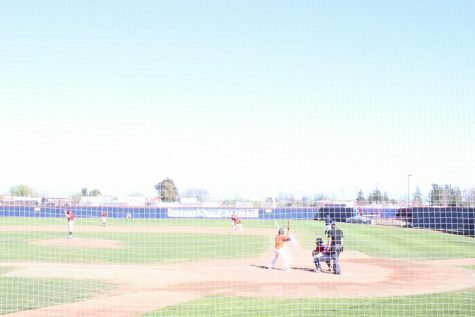 The game started with Von Ruden pitching to the Mustangs’ lead-off hitter, sophomore center fielder Phillip Clark. Clark was walked and immediately stole second. 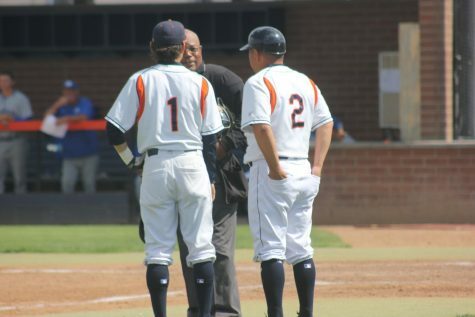 The fourth batter of the inning, sophomore first baseman CJ Owens, batted in Clark for the first run of the game and reached first on an error by Hawks’ sophomore shortstop Hunter Carolan. The next batter, freshman catcher Collin Theroux, hit a sacrifice fly to bring in freshman designated hitter Zach Perugi for the second run for the Mustangs. 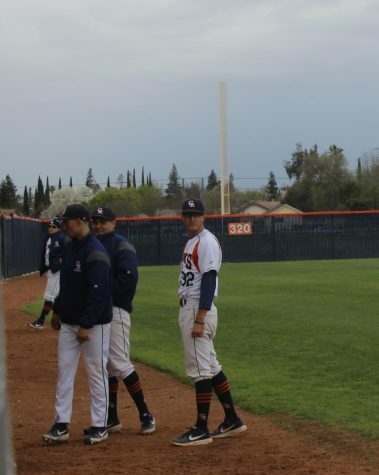 Through the top of the third inning, the Mustangs seemed to remain in control of the game, adding a run in each of the next two innings and keeping the Hawks scoreless through the first two despite starting both with a man on second. The run in the top of the second inning came from sophomore third baseman Connor Torres hitting a home run that bounced off the glove of Pigg in left field as he leapt in front of the outfield fence. Momentum shifted in the bottom of the third when the Hawks started to rally, bringing up the energy of the team and the fans. 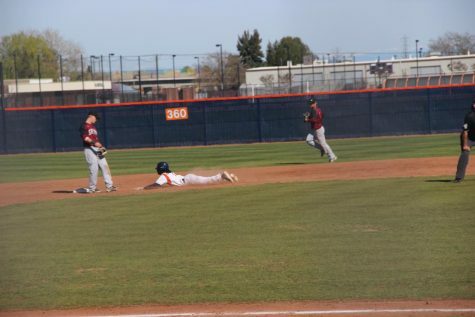 Pigg hit a ground ball single down the first base line that went between Owens’ legs and allowed sophomore center fielder Kasey Chapan to score the Hawks’ first run. 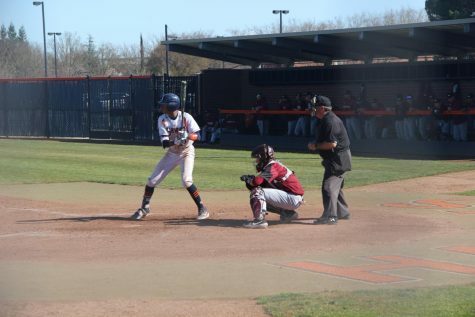 The next batter, freshman third baseman Drake Atlee, hit an RBI double over the top of a leaping Torres to bring home sophomore catcher Cody Morris. 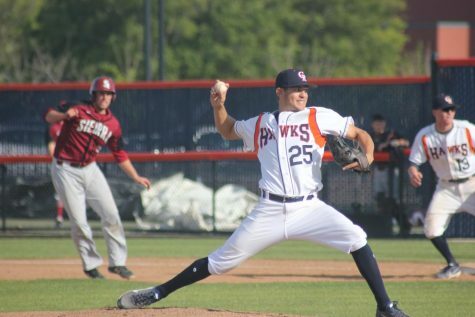 The Hawks momentum continue as Von Ruden stepped back onto the mound in the fourth, despite Pigg being seen warming up in the bullpen before stepping up to bat in the bottom of the third, and he threw his first scoreless inning of the game. Von Ruden threw his first and only strikeout to start the three up, three down fourth inning against Delta freshman shortstop Jacob Thomas. 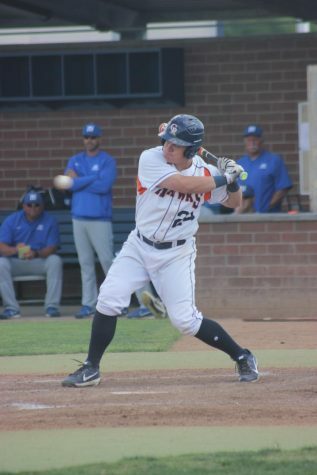 Unable to capitalize, the Hawks went scoreless in the bottom of the fourth before Von Ruden allowed another run in the top of the fifth inning. Mustangs’ head coach Reed Peters was pleased with his team’s performance. Despite the loss, the Hawks are still in good position for the post-season. As the ninth-seed, head coach Tony Bloomfield will travel with the Hawks to The College of Marin on May 2-3 for a best of three series.